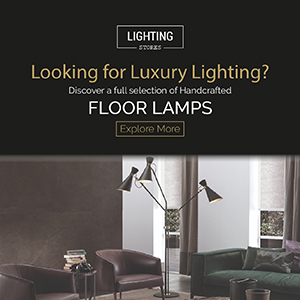 It’s not only the interior of your house that needs lighting! Brighten up your landscape as well! Lighting trends, in this case, landscape lighting, like everything else, are subject to change. When one trend falls out, another gets a chance to come to light. We have compiled a list of not only Landscape Lighting Trends that are becoming prevalent but also those that are dwindling out of style. See Also: TREND OF THE WEEK: BATHROOM LIGHTING FIXTURES! It’s lights out for solar lights. While it might sound startling to hear that solar lights are falling out, the reasons actually make a lot of sense. There are three big reasons for this lighting design‘s declining: limitation, dependability, and durability. Limitation becomes a problem when the object or scene being lit is in an area that doesn’t get very much sunlight if any at all. The durability of the solar light it’s not the best to choose for your house designs. Constructed out of plastic and composite materials, solar lights are easily broken. When looking for a fixture built to last, look for solid brass and copper. Bistro lights, often referred to as string lights, have been gaining regard in the world of lighting design. Strung up with a gentle swag over a patio or pool area, they are the light with a style that instantly sets the mood for festivities. What’s beautiful about the versatility of the future lighting trends is that they can be used just as much in a tranquil atmosphere as an eventful one. Used with a dimmer switch, a patio space with bistro lights can instantly be dialed back from a celebratory affair to a quiet romantic refuge. Not to be confused with LED strip lights, Rope Lights are a relic from the 80’s still commonly seen today in dive bars. It’s almost hard to believe that they are being discussed here. But with the advancements in LED technology, rope lights have tried to make a comeback in the world of landscape lighting. While these lights look great in a casino on the Las Vegas strip, they can often look odd and out of place when they are incorporated into a landscape. When done with the correct application, LED strip lighting can provide a great alternative to Rope Lighting. A core drilled light is where a light is set into a large hole drilled into concrete. This can be done in a driveway to highlight the architecture of a home, or in a hardscape where pillars or walls need a splash of light in a high foot traffic area. This actually looks amazing in your penthouse design. For more contemporary path lighting, core drilled tread lights can be used to place a low-profile fixture in a location where it spills light out over walkways. Exterior Sconce Lighting is a double-edged sword, and unfortunately is going to be out of the lighting trends this year. On one hand, it will architecturally light your home and help make your house designs more visible in the evening. On the other hand, it will make your home look a little bit awkward. The best alternative to this is to light from the home’s foundation. Architectural uplighting from below will anchor a home firmly to the ground. Moonlighting will likely always be in. We have to confess, this is our favorite landscape lighting ever! No matter what the scene, the effect of moonlight brings beauty and subtlety to every setting. When a lighting designer can mimic what Mother Nature would intend light to do, nothing compares.